The list of places wanting to keep players away is growing. JAPAN IS ASKING the makers of Pokémon Go to make the Fukushima nuclear exclusion zone a no-go area for monsters after one was discovered on a power station’s site. 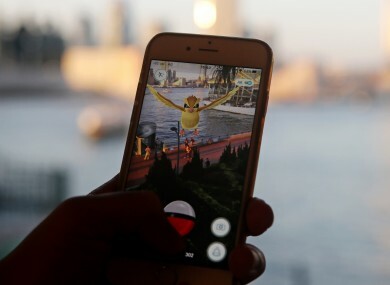 Tokyo Electric Power Company Holdings (Tepco) asked both Niantic and the Pokémon Company to stop its characters from appearing in and near areas affected by the nuclear reactor meltdown. The fear is that players will try to wander into these areas looking for Pokémon regardless of the danger. The company said it tested the Fukushima Daiichi plant, which was partially destroyed by the earthquake and tsunami in March 2011, the Fukushima Daini plant and the Kashiwazaki-Kariwa plantm and found monsters on-site. A spokesperson for Tepco told the Japan Times the game had been banned inside its power plans and that they were tightly guarded, making it impossible for ordinary people to enter. The area would be one of many places that have asked to be excluded or warned people to stay away. Players in Bosnia were warned to to avoid straying into areas that still had landmines from the war in the 90s, while historical places of interest like an atomic bomb memorial park in Hiroshima, Nagasaki Peace Park, a memorial peace park to victims of the atomic bombing of the city in 1945, and a Holocaust museum in the US have asked to be removed from the game. After rapid growth since its launch, Nintendo’s value fell this week after it confirmed it would not make much money from the game, saying its financial impact would be “limited”. Email “Pokémon Go players urged to keep away from Fukushima disaster zone”. Feedback on “Pokémon Go players urged to keep away from Fukushima disaster zone”.